Last month we put together a guide on insurance for tradesmen. After the success of that guide we have decided to delve a little more into public liability insurance. For any self-employed tradesman, public liability is one of the most important forms of insurance you can get. It is also one of the most popular, mainly due to the fact that it is a mandatory form of insurance for tradesmen on most large work sites. What does public liability mean? As a self employed tradesman (including as a subcontractor) you are responsible for the financial consequences of any property damage or personal injury that you cause to another person. This is the type of risk which can be covered by public liability insurance. Instead of having to pay compensations costs out of your own pocket, these costs can be covered by your public liability policy. Provided that the incident is covered by your specific policy working, the insurance company will pay all costs to cover the claim up to your maximum sum insured. How does public liability help? Small claims resulting from property damage can amount to nothing more than a few hundred dollars. These types of claims are settled by tradies every day, and are generally paid directly by the tradie rather than going through the insurance company. But sometimes these claims can be a few thousand, or even a few hundred thousand. In extreme cases they can stretch into the millions. These types of claims would send most tradesmen broke if they had to pay out of their own pocket, and this is where public liability insurance helps. By having the correct public liability policy for your needs in place, you can help to ensure that the costs of a claim are covered by the insurance company rather than coming out of your hard earned profits. The cost of public liability for a tradesman is generally quite low, although it depends on the type of business which is being insured. A carpenter working as a sole trader on residential projects will only pay around $500 a year, but if you are running a large trades business with multiple staff and subcontractors you will pay a lot more. The easiest way to find out the cost of your cover is to request a quote from an insurance broker. Almost any broker should be able to provide a quote, but it’s generally recommended that tradies use a specialist tradesman public liability insurance broker. For more information on public liability insurance for tradesmen please speak with your insurance broker. If you don’t already have a broker please visit our insurance page for our directory listings. For any tradesman who has considered listing their business in an online trade directory, you will know that there are dozens of them out there! Not only are there dozens of different trade directories out there, but they also vary greatly in terms of their popularity and usefulness. Is tradesman directory advertising worthwhile for your business? And if so, which one should you use? There are two main types of directories out there for tradesmen. The first type is the basic directory which simply allows you to list your business name and contact details. These directories also allow you to provide some pictures and text about your business. The second type of directory is more of a matching service. There are a few different variants, but basically these websites work by allowing a customer to enter their job requirements, which will then be sent to various tradies to quote on. Allows potential customers to enter their job requirements, which are then SMS’ed to tradies registered with the website. Basic directly, but appears to have plenty of business listed. Plenty of listings, but not very user friendly. Not too many listings on this one. Nice looking site with plenty of listings. Also features a job board. Another nice looking site with plenty of listings. Appears to be have very few listings. 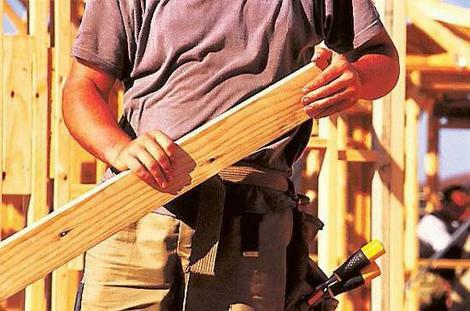 This site allows tradies to bid on jobs posted by potential clients. It also features a good directory. Basic directory without too many listings. easytrades.com.au Allows potential customers to enter their job requirements, which are then SMS’ed to tradies registered with the website. A directory that lists trade businesses but no contact details. Potential customers must complete an online lead form. This is just a small sample of the tradesmen directories out there. To find more you can simply go to Google and search for ‘tradesman directory’ or similar, which will bring up plenty more options. It’s hard to say which is the more effective directory for a tradesman. Should you go with a basic directory listing, or should you register with one of the sites which deliver you leads? As you can see the pricing does vary greatly between each of the directories. Our advice is to give a few of them a try and see which one works for you. As for the free directories, it can’t hurt to spend five minutes listing your business for free, can it? If you have any feedback on tradesman directories or websites which have worked for your business we’d love to hear about them. Simply use the comment box below to share your experiences.